O'Leary is an Irish name, an anglicized version of the original Gaelic patronym Ó Laoghaire (IPA:oːˈl̪ˠiːəɾʲə) or Ó Laoire. 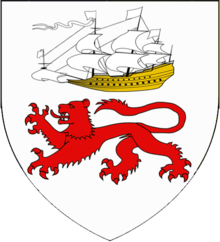 The Uí Laoghaire clan, today associated with the Uibh Laoghaire parish in County Cork, is considered by scholars to have originated in the early Middle Ages on the south-west coast, in the area of Ros Ó gCairbre (Rosscarbery), of which the O'Leary were hereditary lords. The Annals of Innisfallen (Dublin copy) records St. Fachtna's (Saint Fachanan) death in 600 AD as occurring in "O'Laeghaire of Ross i.e. Corca Laidhe-I-Laeghaire Ruis". The clan traces its lineage to Lugaid Mac Con, an ancient King of Tara and High King of Ireland, and descendant of Dáire Doimthech. In the 12th century the O'Leary's were recognised hereditary wardens of St Fachtna's monastery and seat of higher learning, the School of Ross. In more recent times (since 1300 AD), the clan, of the Corcu Loígde, was pushed north and settled in an area south of Macroom around Inchigeelagh on the River Lee called Uibh Laoghaire (or Uibh Laoire in modern Irish – the 'gh' is silent in the old Irish). The Corcu Loígde were the rulers of Munster, and of territories beyond the province, before the rise of the Eóganachta in the 7th century. The port of Dún Laoghaire, near Dublin is not associated with the O'Leary sept(s), rather it is named for Lóegaire mac Néill, a 5th-century High King of Ireland. The name also occurs in the Cineal Laoghaire branch of the Eoghanacht dynasty which later came to dominate Munster. With the unrelated Corco Laidhe and Eoghanacht branches of O'Learys settling in north-west Cork and nearby Kerry respectively, the tracing of lineage is complex. 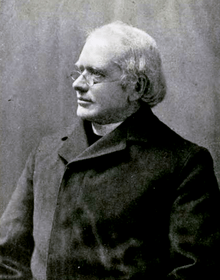 Peadar Ua Laoghaire, one of the founders of modern literature in Irish. Although almost nothing is known of their activities for several centuries, the O'Learys reappear as a still titled  family in the 16th century, and relatively wealthy, although they were subject to the MacCarthy of Muskerry dynasty, from whom they received the White Wand (a symbol of authority). They were the only other freeholders in Muskerry besides the O'Mahonys, and had built several castles in their territories, of which Carrignacurra is now the only one still standing. The celebrated Irish language writer Peadar Ua Laoghaire was a descendant of the Carrignacurra branch of the family. Auliffe O'Leary joined the side of Hugh Ó Neill, 2nd Earl of Tyrone in the Nine Years' War, from the very inception of it, and took the field with William Bourke (Clanricarde) and others. For this the chiefs of the O'Learys were eventually attained, and their lands parceled out, but because of the remoteness of their territory it was never carried out, and they remained safe there until the Cromwellian confiscations decades later. Donough MacCarty, 1st Earl of Clancarty did however appear to do his best to allow them to stay on their lands through leasing. The family became much more scattered during the later Williamite War in Ireland. As an example of their wealth and capacity in the mid-16th century, an early O'Leary of Carrignacurra  is purported to be the fosterer of Donnel na g croiceann, or Donnel of the Hides, ancestor of the modern O'Donovans of Clan Cahaill. His daughter Ellen married Donnell. Their issue was Donnell II O'Donovan. The last O'Leary lord of the Old Gaelic order was Donal MacArt O'Leary (1575–1657). His wife Eibhlín Dubh Ní Chonaill, composed "Caoineadh Airt Uí Laoghaire"
Dún Laoghaire, Dublin, Ireland – Name means "Fort of Leary". ↑ In the Gaelic system. ↑ The branch to which this O'Leary belonged is not precisely known. It may have been different from the one that later occupied it.